The art of falling is, in most cases, letting the broad expanse of the back take the shock of the fall. With this there are two important points to remember. The first and most important is keeping the head tucked in to avoid it banging the mat. The second is to not use the arms for saving one's position. For example, when a beginner takes up skating and his skates fly out from underneath he will drop down on his backside with both arms stretched out backwards to stop his upper body and head from hitting the ice. This is dangerous because if the fall is hard all the joints in the arm and shoulder could suffer injury. In this case it is better to keep the arms out of the way, with the chin tucked in and let the curve of the back take the impact. Breakfalling is quite a simple business and shouldn't take much time to master. The following are few exercises to be mastered before taking an actual throw. Lie on the back, head up off the mat with the chin almost touching the chest, arms held across the body. Now starting with either arm beat the mat with the whole arm down to the flat palm and then with the other arm and so on alternately. Try to get a slight roll to the side which you are beating. The idea of beating the mat is to absorb some of the shock that the back takes. In a heavy throw the arm hits the mat as hard as possible. The arm should not be too rigid or too limp but with just enough firmness to hit the mat hard without damaging the elbows. 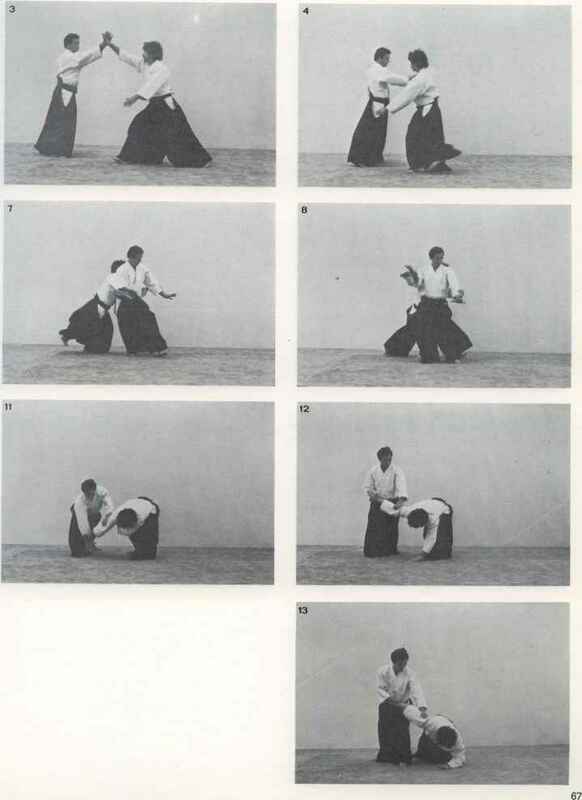 The position for starting and beating the mat can be seen in plate 151. This is quite a simple exercise and can be learnt after a minute or two. The next step is to crouch down, then slowly falling backwards, roll into the mat. The head must be kept near the chest right from the beginning. If the head is slack when thrown it will snap back and hit the mat. The other natural tendency is to use the arms as supports. This must be avoided. 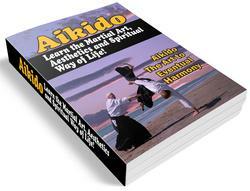 The beginner must get used to keeping his head out of harms way and using his arms only for beating. After a few attempts at No. 2 exercise stand now not quite upright but with a bit of a crouch. Fall slowly backwards and to one side and roll into the mat. Do not hold the body stiff as a board or too limp. In this case where the body is falling to the side only one arm is used for beating. In most throws it is only possible to use one arm. However, this is sufficient. As the beginner gains more confidence he can do this last exercise with more gusto until he is almost throwing himself off his feet backwards. Exercise 4 is possibly the closes one can get to an actual throw. With a partner stand as in plate 152. The man standing grasps his kneeling partners sleeve and trouser at the knee and pulls up sharply thus lifting his partner up and spinning him quickly on to his back. The man who is being spun over uses his free arm to beat the mat. The force of this exercise is then gradually increased. There are several breakfall exercises. The best one is to take an easy fall and, bearing in mind the important points about the head and arms, get one's partner to gradually increase the force and speed of the throw. As this happens naturally from the first lessons on throws it is wise not to waste much time on the exercises. They should occupy no more than half of your first lesson with perhaps one or two revision periods in the second and third lessons.